You can't teach cats to respect humans’ personal property, but electronic deterrents and some plants and herbs can keep them away from off-limits areas without harming them. However, while mothballs work as a cat repellent, they’re toxic to cats, other animals and birds. Even putting mothballs or mothball flakes in a coffee can with holes cut in the lid is not safe for cats. Inhaling the fumes can be as toxic as eating the mothballs. Mothballs, mothball flakes and mothball cakes all contain either naphthalene or paradichlorobenzene. Although paradichlorobenzene is less dangerous than naphthalene, it still can have serious side effects for cats. Ingesting or inhaling naphthalene can cause liver, kidney and blood cell damage in cats, as well as swelling of the brain, coma and death. 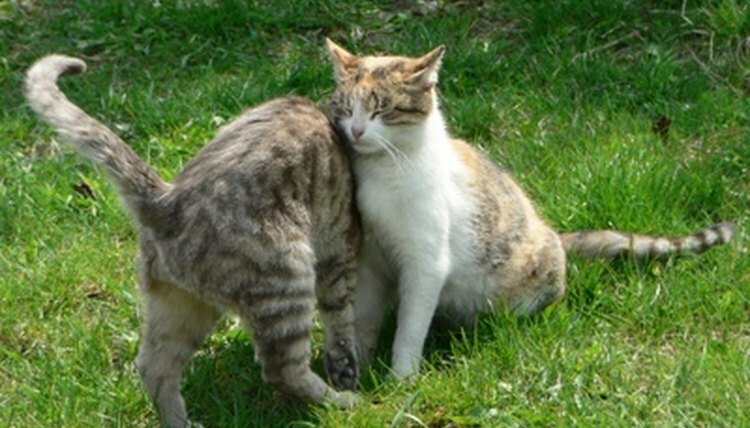 Both naphthalene and paradichlorobenzene can cause lethargy, weakness, vomiting, diarrhea, stomach pain, loss of appetite, behavior changes and seizures in cats. Clinical signs of mothball toxicity in cats can develop within minutes to hours. Cats showing signs of mothball toxicity need immediate veterinary care.